This special micro-serrated blade pulls the fabric into the scissors rather than pushes it away. 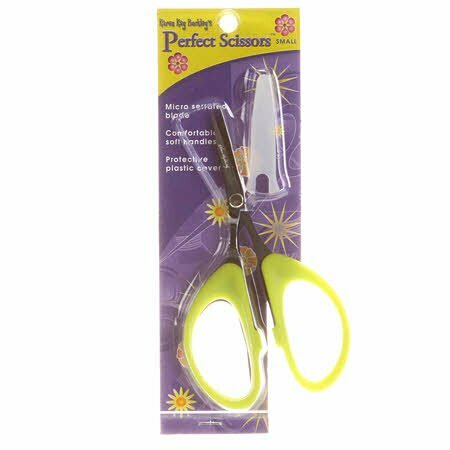 Scissors are 4-inch by 2-1/4-inch and include a cover. 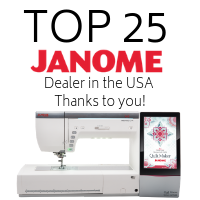 Great for detail cutting on curves and points.